The Waikiki Grand Hotel offers exquisite views of Waikiki Beach, Kapiolani Park, and Diamond Head which can be viewed from your open air lanai. 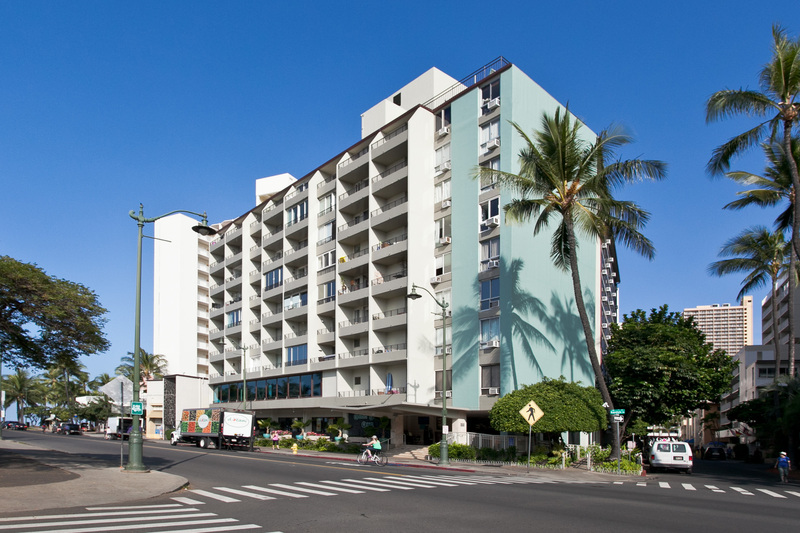 Start the day off with a cup of coffee from the nearby Starbucks and enjoy it on the 10th floor sundeck while taking in the incredible panoramic view of the ocean and Diamond Head. Each room is individually decorated and may offer a different view, but all rooms include FREE internet access, a compact refrigerator and a microwave.